Hey people, Merry Christmas and Happy Holidays to everyone! It’s that time of the year again, when we perform our annual review and see what went right and what went wrong. While enjoying the down time and the holiday vibes, be smart and make sure to continue working on your personal and business development. Actually, the holidays is probably the best time to advance your career and march towards success. In that spirit, I will share with you the most popular Wealth Triumph posts of 2017 so that you can study while the turkey is in the oven. As I had described in my 50 posts update, during this year, I averaged one post per week. It was usually published the first couple days of the week, but sometimes, due to heavy schedule, it was pushed towards the weekend. Additionally, after the second half of the year, my posts were quite shorter. This blog is not how I make my money, but rather, more of a personal branding tool and an outlet to share my thoughts and insights. That being the case, I shifted the majority of my focus towards my revenue generating ventures. Nevertheless I posted every week and did not miss a single one. As I have mentioned multiple times in the past, consistency is key. So, without further ado, here are the most popular posts written in 2017 by traffic. Enjoy! So, you are ready to take the leap. You are fed up with being almost a slave to the system. 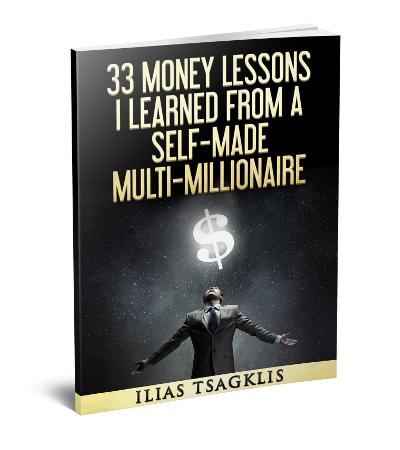 You want to take control of your own destiny and build some wealth. 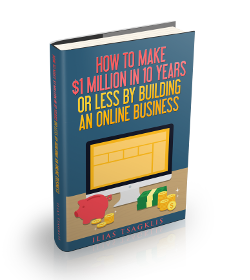 You have a goal: Become a millionaire in the next few years. You remember that guy on the internet who has been talking about how self-education and reading books can pave your way to financial freedom. But where do you start? Making money is probably the most misunderstood topic in today’s society. The reasons for this are many and vary from “low-level” causes, such as the lack of proper education in the public system, up to “high-level” ones, such as the innate nature of humans. The end result is that the majority of the population is walking around guided by a deeply flawed mindset, committing money mistakes on a daily basis and struggling to get ahead in life and enjoy a prosperous existence. In this article, I am going to discuss several truths that you need to know in order to make financial progress and set the foundation for living an abundant life. If you don’t know your numbers, you don’t know your business. This is a phrase that you, as an entrepreneur, should always keep in mind. Accounting and financial management might not be one of your areas of expertise, but if you want to run a successful business, you should monitor, track and review certain financial numbers. I know that it is probably more exciting to work on creating a great product for your customers or launching a powerful marketing campaign that will boost your sales, but unless you know your numbers, your business is built on shaky ground. 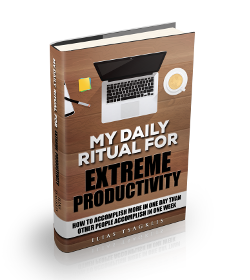 How would you feel if you were able to quadruple your productivity? What impact would something like that have on your business, your career or even your whole life? Personal productivity is one of the most impactful skills that successful people have mastered. Especially in today’s competitive business and professional environment, you are doing yourself a disservice if you are not working in an effective and efficient manner. Working and operating in the most optimal way possible should be one of your priorities. 5) My First 3 Startups Failed. Here’s What I Learned. Hey people, today I have the utmost pleasure of presenting you a guest post from Vasso Kalaitzidou. I had the chance of meeting Vasso a few months ago and was impressed by her professionalism and her tenacity. Vasso is an “engineer camouflaged as marketer” and she is focused on getting things done! She was Head of Marketing and Operations at a Greek aspiring startup named Fieldscale for almost 3 years. She has tons of experience in early startup operations, and today she will be sharing some of her lessons with us. Take it away, Vasso! It seems so strange, right? People all over the world are trying to improve their financial situation and get richer, yet the vast majority of them are failing miserably. In the game of wealth, sometimes it is about the things you should not be doing, rather than those you should be doing. In this article, we are going to discuss 10 reasons why you are not getting richer. Make sure to avoid these common mistakes in order to turbo-charge your progress and reach success sooner. Ahhh, the elusive millionaire status! So many articles written about it, so many books. As they say, “Rome wasn’t built in a day”, and similarly, getting to a Net Worth of $1 Million requires time too. In this article, we are going to discuss 10 things that all twenty-something year olds should be doing in order to build the foundation for a bright financial future. Being in my early thirties I believe I still have a good feeling of the younger generation and I am confident this advice will significantly help you. People just love rags-to-riches stories, and this is an amazing one. As I have mentioned in the past, studying the lives of the ultra-successful people of the world is extremely inspirational and valuable. Whenever I have the chance to delve into the way of thinking of those people, I make sure to grab it. Lately, I came upon the story of Li Ka-shing, one of the world’s wealthiest people. His life and business journey offer several lessons and insights to the aspiring entrepreneur. Li Ka-shing is a Hong Kong business magnate, investor, and philanthropist. According to Forbes, he is the richest person in Hong Kong and the second richest person in Asia, with an estimated net worth of over $30 billion. I don’t really watch TV shows, but when I do, they typically have some kind of entrepreneurial element into them. One of my favorites is “The Profit”, which features Billionaire entrepreneur Marcus Lemonis. Marcus goes into struggling small businesses and offers assistance by giving them a capital injection and offering his invaluable expertise and connections in order to turn them around and boost their profitability. Since there is no free meal in this world, Marcus receives a hefty piece of the company in return and also gets full operational control of the business for the initial, critical phase of its restructuring. I hope you enjoyed these. My best wishes for an amazing and prosperous new year. Cheers! Are you infected with Entrepreneurial Fuckarounditis? My First 3 Startups Failed. Here’s What I Learned.